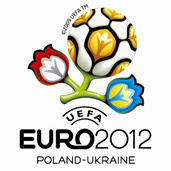 Ukraine prepares to take the final of the UEFA Euro 2012 tournament with at least a million fans. This is said by Deputy Prime Minister Borys Kolesnikov, reports BBC. According to him, since June – which is not the season of mass holidays, many football fans will come to Ukraine only to see thier favourite team play. More accurately count the number of guests of Euro 2012 will be known after the Finals Tournament on December 2, Kolesnikov said. That’s when it becomes clear in which cities will play teams of various European countries.